Sunglasses are a ubiquitous fashion accessory. They can add a pinch of panache or mystery, hide emotions or exponentially increase one's level of coolness from Steve McClaren to Steve McQueen. On the flip side, they can and have caused some of the most unforgivable and reprehensible fashion faux pas in professional cycling history. 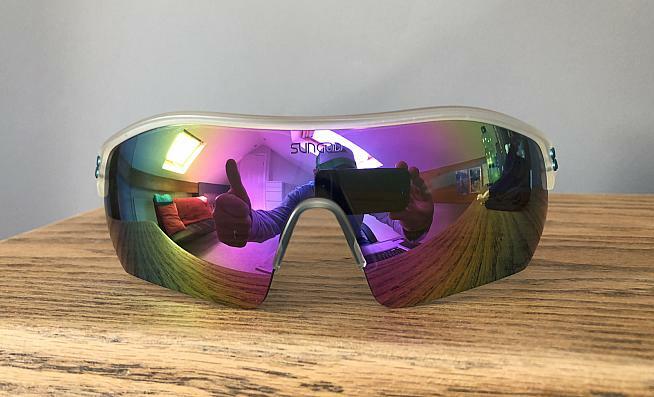 Back in the day there wasn't the plethora of tinted wraparounds there are now, and riders had to plump for a regular day-to-day pair of shades - Bernard Hinault regularly raced in a set of gold-rimmed Ray-Ban Aviators. In the mid 1980s Jim Jannard and Oakley entered the market and changed the face of performance sunglasses forever. It was Hinault's team mate and nemesis, Greg Lemond, who debuted the 'Oakley Eyeshades' in 1985. They quickly caught on. 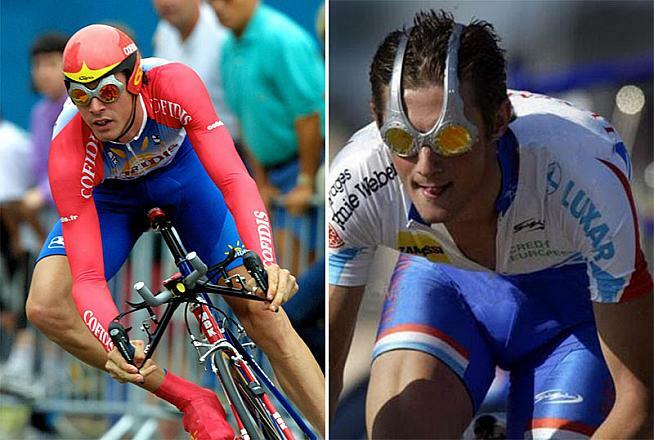 Oakley were not the only players: Briko, Rudy and Look all had their own versions and with competition came research, development and outrageous designs. 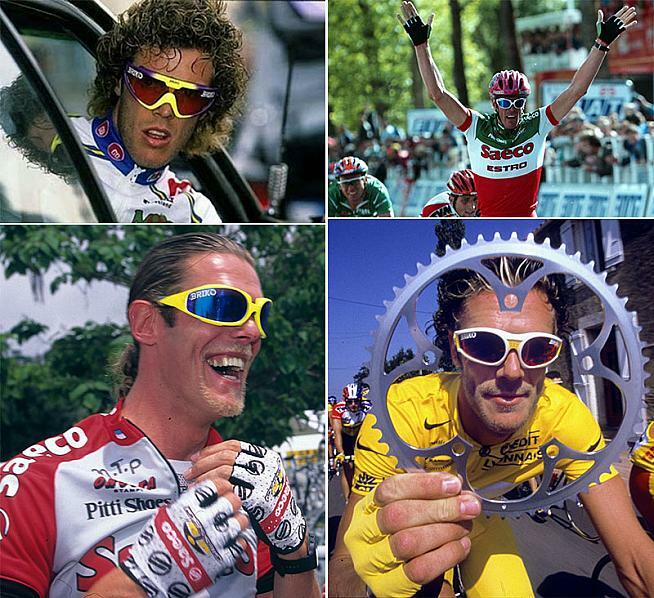 Some of the contenders for worst cycling sunglasses of all time include the 'Briko Shots' made famous by Mario Cipollini, the overwhelmingly horrific Oakley 'Over The Tops' worn by David Millar or Oakley's 'Racing Jackets' which George Hincapie wore to success with US Postal. ...and cyclists looked like WWF stars. So, to the present day. As with all things these days, the consumer is bombarded with a surplus of options, variations and prices. You can pay a fortune for glasses with the most expensive part usually being the lens, and it is this expensive part that usually gets damaged first. The styling of the frame is obviously imperative, but a good lens can literally enhance your image, increasing viewing clarity and even boosting mood - as well as making you look good. I was recently issued with a set of Sungod's PaceBreakers glasses. The British brand, launched four years ago, offer the PaceBreakers in custom options with a choice of six frame finishes and 12 lenses - Jurassic Park! I opted for the 'frosted clear' frame, polarised 4KO Pace Pink lens with brushed blue icons and ear socks. SunGod PaceBreakers. Available in myriad custom options. The frame design is a variation on Sungod's classic and most popular style, taking up a minimum of space around the lens. 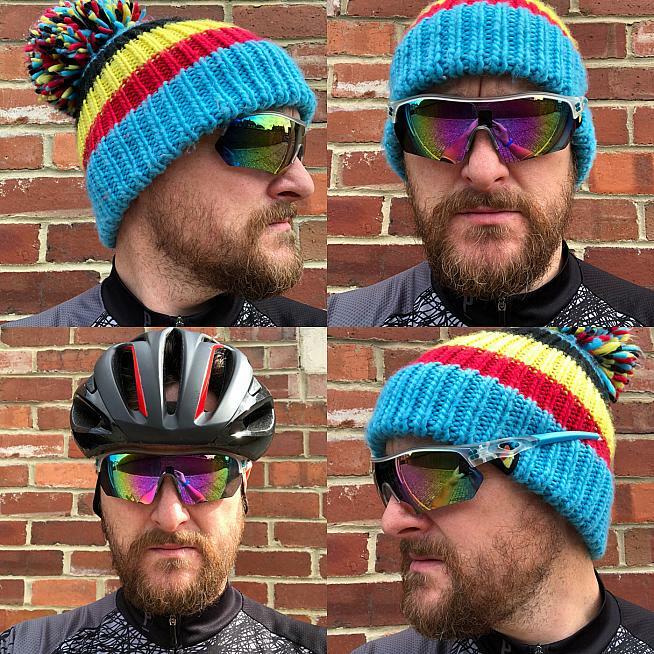 In use this allows for unobstructed vertical and peripheral vision and enhanced spatial awareness, which is always a bonus when cycling - whether it's jostling through traffic on the daily commute or working your way through the field on a packed sportive start. Frame arms over or under the beanie? The Rules are unclear. Another benefit of the minimal design is low weight - the PaceBreakers weigh in at just 27g. The lens is the star though, and with Sungod's polarised 4KO Pace Pink lens you have is a truly stunning set of cycling bin-lids. The difference in my vision from my old sunglasses to these can only be described as the difference between normal TV and HD. In fact, so sharp and enhanced was my field of vision that it took a few minutes for me to get used to all of the almost psychedelic colours flooding my brain. The frame is flexible and the polycarbonate lenses are treated with a triple layer scratch-resistant coating, boosting their chances of escaping damage whether from a crash or simply the rough-and-tumble of everyday use. And you will want to use them every day, because the PaceBreakers work fantastically both in bright sunlight and gloomy wet conditions. The lenses seem to pick out and enhance certain objects such as drain covers and grates in the road, almost making them shimmer - a useful effect, as it makes you acutely aware of such obstacles and enables you safely avoid them. It's a thumbs up from Ben. 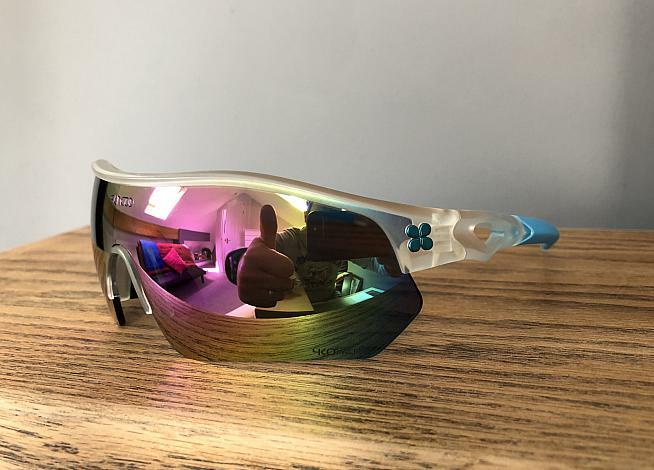 The other winning aspect is the price; with prices starting at £60, the PaceBreakers are a relative bargain with equivalent shades from rival brands often costing twice as much. That's particularly impressive because SunGod back their glasses with a lifetime guarantee, which means if you damage yours they'll repair them free of charge. It's an appealing package, and with lens options available for the full range of conditions - from Alpine glare in high summer to night cycling in a British winter - the onset of autumn is no barrier. So my advice would be to go and check out the SunGod website, get your customise on, and get ready to see the world in a completely different light.